The Parallel Throw (Split Squat) Exercise is a great way to build power and speed in your arms, shoulders and core, while developing rotational stability and balance. The Parallel Throw (Split Squat) Exercise forms part of the Golf Power series of innovative and dynamic exercises that are designed to efficiently build explosive power in your golf swing, increasing club head speed and shot distance. This exercise requires a medicine ball and a wall to throw it against. Alternatively, you could throw the ball to a partner. This is a power training exercise, so use a moderate weight that enables you to move fast, in an explosive (plyometric) movement, while always maintaining control and proper form. Quality of movement is much more important than how heavy a ball you are throwing. For power exercises, the end of the set shouldn’t necessarily feel harder. Your effort level should remain relatively high throughout the set. Figure 1. Parallel Throw (Split Squat) Exercise Video. Start by standing in a split stance, your left leg forwards, facing a wall about 3 feet (1m) away, holding a medicine ball at arms length in front of your waist. 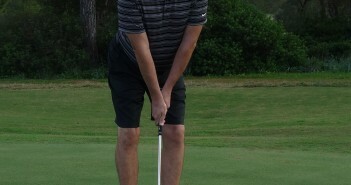 Bend your left knee to lower your hips towards the floor. This is the starting position. In one explosive movement, take the ball back behind you by rotating your torso to the right, and then throw the ball as hard as you can against the wall. Catch the ball with both hands and return to the starting position. Continue for the desired number of repetitions. Repeat by rotating to the left. Repeat twice more, switching legs to squat with your right leg forwards, rotating for one set of reps to the left, and then one set to the right. That’s four sets of repetitions in total, with no rest in between. The split squat position serves to stabilise your hips, locking in your pelvis and forcing you to focus more on shoulder speed. Throw the ball in a straight line from your hips by driving hard with your torso, followed by your shoulders, both arms and then the ball. Keep your torso as centred as you can, rotating around a fixed axis. Squat as low as you feel able, but keep your back knee off the ground and do not let your front knee collapse to the inside or slide forwards past your toes. Keep your abdominal muscles engaged, chest up, back flat, and your shoulder blades back and down. You should feel it working your arms, shoulders, legs and core. When you first perform this exercise, make one throw at a time, resetting your position and balance each time, and concentrating on throwing as explosively as you can while maintaining perfect form. As you become more proficient, try to link the throws together into one continuous movement, storing the energy as you catch the ball and exploding it back into each throw. As your strength increases and the exercise gets easier, either throw the ball harder or progress to a heavier ball. 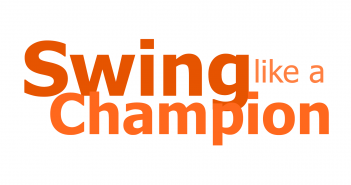 There are a number of other throw exercises in the Golf Loopy Train like a Champion System that offer a variety of challenges, you can see them all by clicking here. There are a number of other golf-specific power exercises in the Golf Loopy Train like a Champion System.